Hurray! The holidays are officially here and in full swing! I love love love this time of year. From the fun parties, to the anticipated arrival of the big guy delivering goodies, to the panic about moving that elf, to all the yummy treats (mmm...the treats!) - bring it all on! My absolute favorite thing is being a host during this time of year. I love filling my home with the delightful chaos of the holidays. Witnessing all the happy around me, and creating lasting memories with all the special people in our life fills me with joy. 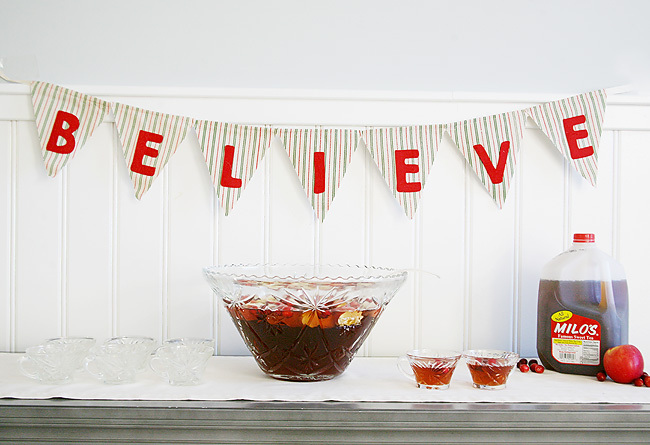 Not to mention the festiveness of the holiday season makes it super easy to plan a little soiree. The theme is in the holiday itself and the options of creativity are endless. Whether we choose to celebrate all the holiday things with an ugly Christmas sweater party or a more upscale dinner, I've learned the best way keep the stress at bay and enjoy your role as host is to have a few go-to seasonal food and drink recipes that work for any situation. Keep it simple. Keep it easy. Then you get to keep it FUN. And as any good southern host knows, no event worth speaking about is an event without sweet tea. 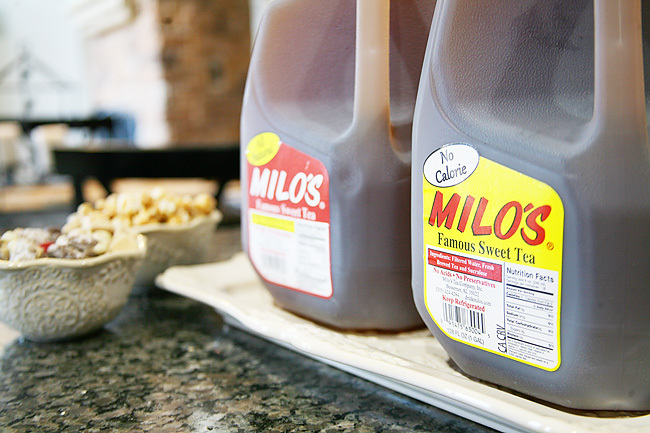 Milo's Tea is without a doubt one of our favorite southern staples, and when it comes to serving our guests we only want to serve them the best tasting. I'm not the only huge fan of Milo's Tea. It's award winning taste has been savored for generations. 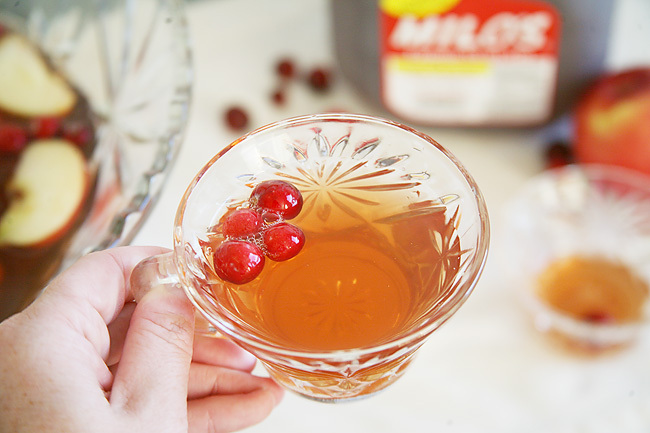 Milo’s Tea was created in the famous Milo's restaurant founded in 1946 by Milo and Bea Carlton after Milo returned from serving his country in World War II. The teas are all naturally brewed with no colors, acids, additives or preservatives to keep in line with Milo and Bea's vision for using high quality ingredients to never sacrifice on taste. 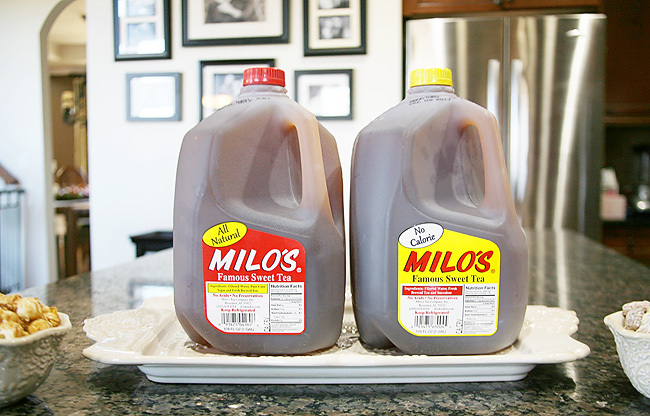 Today, Milo's Tea is still a family owned company located in Bessemer, Alabama. So quite literally every sip provides a little south in your mouth. 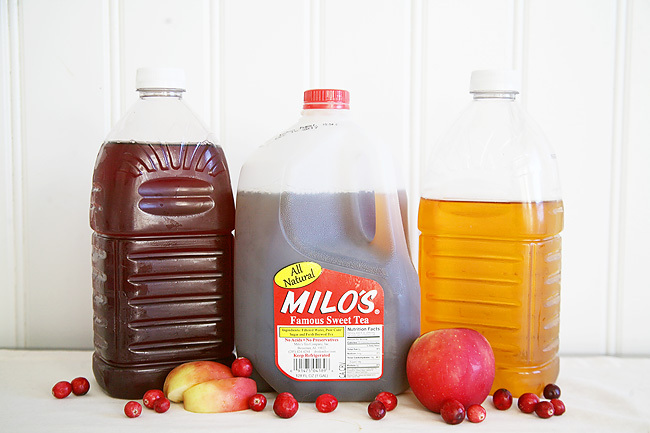 I always make sure to have a variety available on hand though, and often during the summer months I often serve our second favorite southern staple - their delicious lemonade. 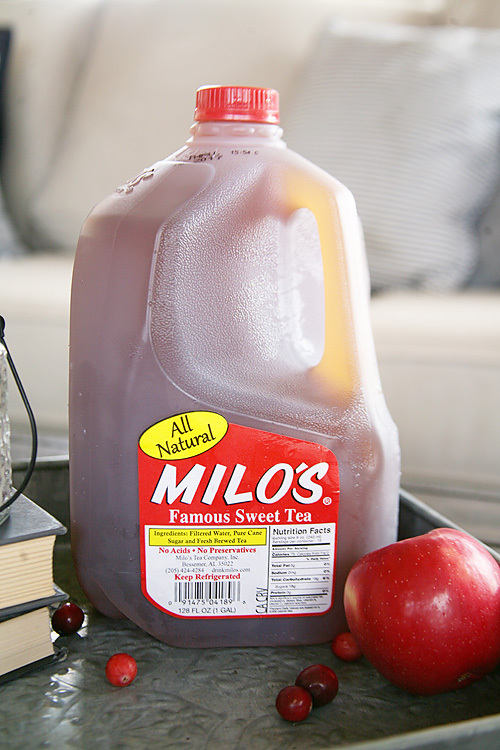 It comes in a variety of different options (no calorie, unsweet, and a tea lemonade combo), but my favorite to serve is Milo's All Natural Sweet Tea because it is sweetened with pure cane sugar. I found Milo’s at my local Target in the refrigerated juice and dairy section, but they are available at lots of retailers. Find a store near you by using the store locator. 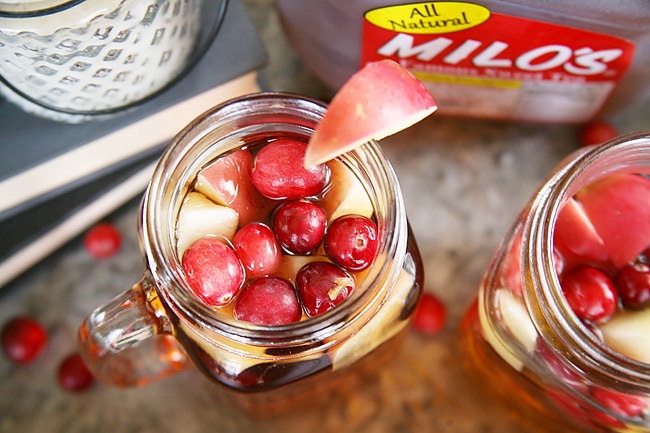 The All Natural Tea is also my favorite to mix in to make other tea based drinks. I'm never one to shy away from a yummy cocktail recipe during the holidays, but for any gathering this time of year I try to have a more family friendly drink available since guests of all ages are in attendance. 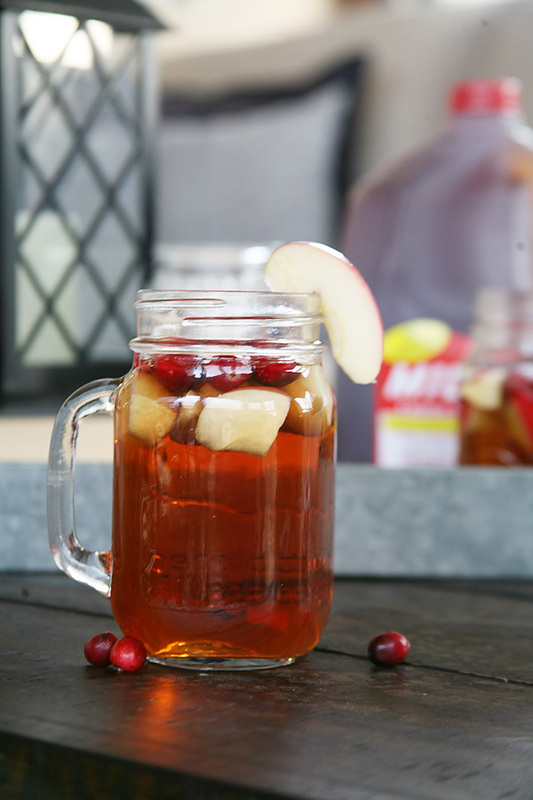 My go-to drink is this delicious Apple Cranberry Sweet Tea Punch. It not only looks festive, but it tastes it too! It is beyond yummy and the moment the holidays roll around I can't wait to serve it to anyone and everyone (and have a drink or three myself). It is just one of those drinks that is suitable for any party, and made with only a few ingredients we already have in our pantry. 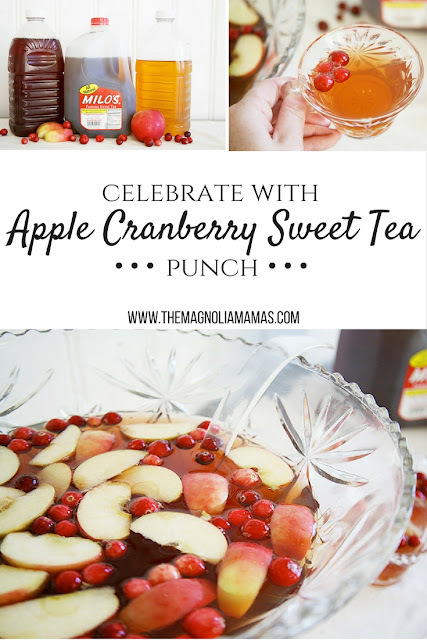 The Apple Cranberry Sweet Tea Punch is super easy to make. Depending on the situation you can craft this delicious holiday crowd pleaser to be a single serving or easily make it in large batches. Either way in just a matter of minutes you have a delicious holiday beverage. It is always a huge hit, and is perfect for serving even to our tiniest of guests. 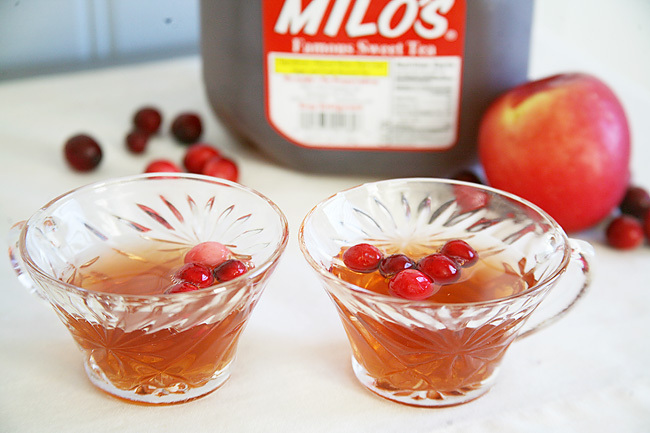 So give it a try, and bring a little southern sweetness to your next holiday soiree! 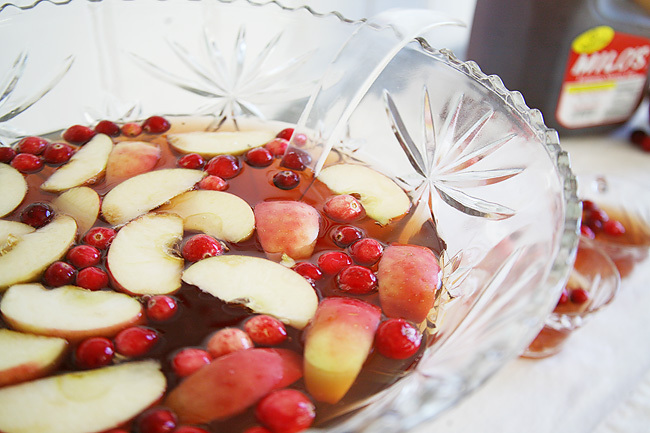 1: In a large punch bowl mix chilled sweet tea, apple juice, cranberry juice, and sparkling water. 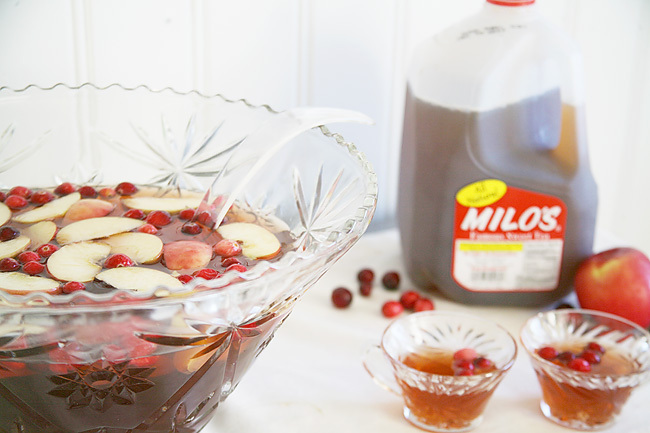 What go to drink do you like to serve during the holidays?